A life insurance policy is a contract you have between yourself and an insurance company. You pay a premium each month. In exchange for this you get a lump-sum payment paid to your beneficiaries at the death of the insured person. 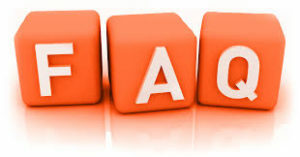 We hope the FAQ list below will help you understand the ins and outs. Life insurance serves a specific purpose, but there are many people who get sold life insurance in ignorance. They land up with cover they don’t want or need. Life Insurance FAQ can answer some of the questions you have about life insurance. How many types of life insurance are available to South Africans? There are two types – whole life and term life. Term life is for a period of time while whole life insurance covers you for your whole life. How do I know which one to go for? How much life cover do you need to support your surviving family members. Price can also be a factor. Most life insurance companies offer either term or whole life cover, while others will offers polices with guaranteed terms, insuring the premium doesn’t increase for a specified period of time. Ask questions so that you understand the implications of your choices. Death can be unexpected. If you want your loved ones to enjoy a standard of life they’re used to, then you should consider getting life insurance. Your need for this kind of insurance will vary with your age. Life insurance simply bridges the gap between the financial needs of your dependents and the amount available to them from other sources. What Insurer should you choose? There are many offerings in South Africa, Make sure you choose an insurer who has a trusted, proven record of reputable services. Old Mutual, Momentum, OUTsurance and Hollard are typical examples of reputable insurance companies who abide by a Code of Conduct. An insurance broker can help you select the right level of life cover. Look for an insurer who offers choices so that they can customise a life insurance policy that suits your needs. You can either go online or make an appointment with an insurance broker. It makes sense that independent brokers will provide an excellent spread of quotes than the broker linked to just one insurer. Getting free quotes online is easy and convenient. What determines what I’ll pay each month? Life insurance rates depend on the individual’s risk profile. Your age, gender, health, smoking and drinking status and occupation all come into play. As a rule, life insurance premiums are around R125 a month but this is just an approximate cost. Will a Medical Examination be Required? Some insurers require a doctor’s medical examination, others not. Sometimes the questions you answer will be enough for them. You may need life insurance sooner than you think because death comes like a thief in the night. Get signed up and covered fairly soon. When you buy life insurance cover online, it can take a matter of 10 to 20 minutes and then you have cover. If you don’t have Internet, you can call any one of the life insurance call centres and in the space of no more than half an hour you will have an answer.